Have you ever had one of those epiphanies that totally changes your life?! The kind that once nested occupies your every thought and keeps you up at night? Well, I must tell you mine recently just arrived - and I’ll be honest, it came out of the blue and left me dumbfounded + surprised!! 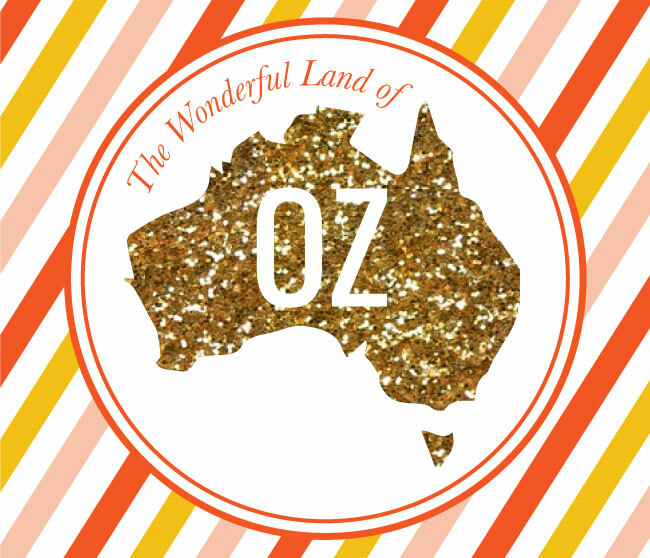 If you follow me on instagram, pinterest and twitter, you probably know what I’m about to disclose - and if you don’t well, here goes… We are going to move our family overseas to the land down under - yes thats right, to Australia the continent of wonder!! Now it’s not going to be immediate as things like this do take time - so we’ve proposed a 2 year plan which I think is reasonably fine. "How did this come about?" I’m sure you’re finding yourself asking. Well I’ll tell you, it came from a place of unfulfilment + lacking. I should preface this by saying I love where I live and am really rather happy - however the idea of this same life forevermore, made me feel unsatisfied and well, a little crappy. Living the “American Dream” of homeownership just isn’t enough - We have bigger aspirations, our eyes set on adventure + worldly stuff! To show our kids another way of life - to explore a new country through our very own eyes - to live an adventure, a life of another kind!! This is the dream in which we’ve chosen to pursue - this is what we have excitedly decided to do. “Why Australia?” Im sure you're dying to know. Let me explain the ways in which this location sets us a glow. First off, the men in my life are die hard surfers - my mister is an eternal perfect wave aficionado + searcher. Australia is home to some of the world's most prized surfing conditions - and I do so believe these down under waves just might satisfy his unrivaled ambitions. Next in line, the weather. It’s simply idyllic altogether. It’s English speaking - a very important aspect that will help keep my kids from overly freaking! There’s this thing call “The Outback” that’s begging to be explored - and KOALAs that are needing to be cuddled + adored! There are sights and cultures to be devoured - theres a whole new way of life thats ready to be encountered. We’d rather embrace the idea of “work to live” as opposed to “live to work” - Endless hours of career monotony with very little holiday is sure to transform you into a JERK! I could go on and on but I think you catch my drift - let me know if you want more reasons and I’ll personally send you my list. So now we compile our monster to-do list toward realizing our goal - passports, visas, certificates… gah the list is truly out of control! I’ll document all of these trials and tribulations here for you to see - aren’t you excited… afterall, I’ll be taking you with me! For now though we will continue to live as normally as possible - spend time with the ones we love, live in the moment, and do our best to troubleshoot any obstacle. I’m sure there will be bumps along the way - and most likely all kinds of red tape. But keeping our eyes on the prize will help us hold our balance - knowing that what's at the end of the tunnel will be worth all the madness! Now… I’m voraciously seeking all kinds of Australian knowledge and tips - do you have insider Aussie info to share? Can you help give me a glimpse? Perhaps you are the knower of the best places to live?! You’ve got the inside scoop on the most delicious dish. Tell me what you know… anything you can give!! If you think you can be of assistance please let me know - I’d be forever grateful if you left your comment + contact below! That’s all for now, carry on with your day - I promise to keep you posted the rest of the way.